I then moved up IH-35 and attended UT (Hook 'Em! ), where I majored in English and received my teaching certificate, finishing with a minor in Education. I am now entering my 9th year in the classroom, which makes me feel quite old. I began my teaching career at a Title I high school in Spring Branch ISD (Houston) and then spent my most recent five years at Memorial High School, also in SBISD. After a mid-year move to Austin for my family this past Spring, I am excited to now find myself a Chap. 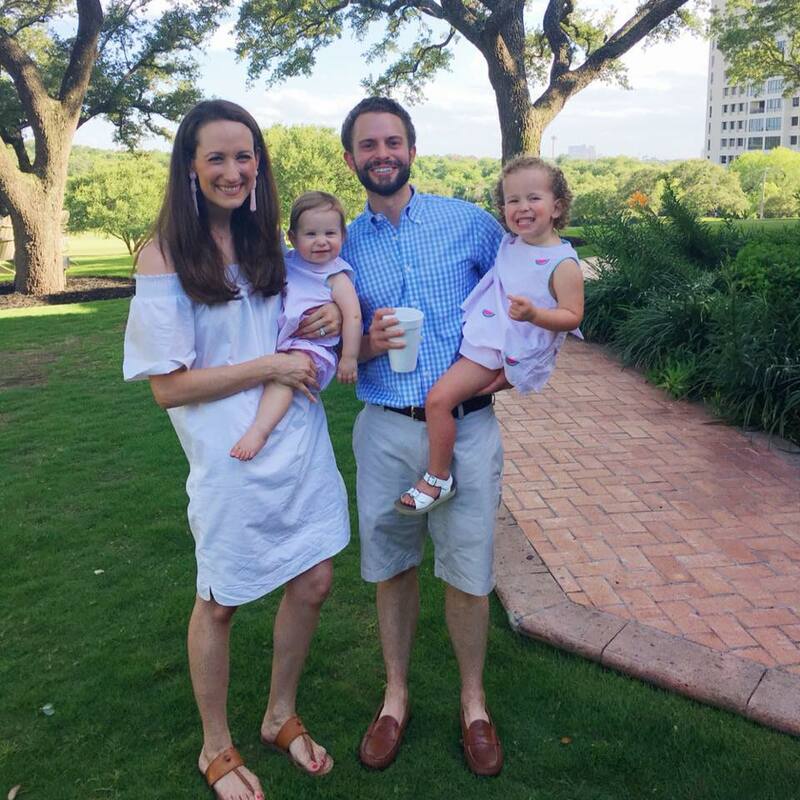 ​Some favorites: Las Palomas, a clean car, Amazon Prime (it's an addiction), Target (for obvious reasons), and buying smocked outfits for my girls (another addiction). I am passionate about my pedagogies, reading, writing, and above all, providing a bit of constancy and peace for my students each day. 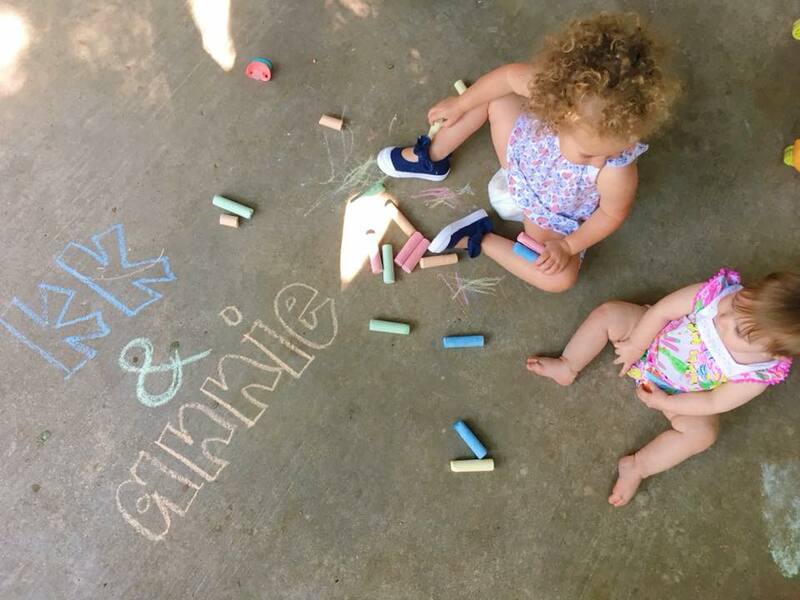 When I'm not thinking about or planning for my classes and students, I delight in our two daughters, Annie (2) and Katherine King "KK" (1). They are a joy and quite literally a handful at the moment. My husband, John, is originally from Beaumont, TX, also a Longhorn alum, and currently serves as the Rector at St. Michael's Episcopal Church. He's the best. I thrive and feel most alive when I consistently reflect on and improve my instruction to best suit my students’ needs (both present and future) as learners, leaders, writers, readers, and humans in an increasingly global society. My role as an educator is to provide and facilitate engaging and productive learning experiences for my students, experiences in which they can develop the independent thinking, reading, and writing abilities to be most successful in life. What does your classroom look like on most days? I “hover,” watching and guiding their thinking, often through verbal feedback and direction, at other times through written feedback. What does your classroom not look like (very often)? Where/From what have you developed your educational philosophy? The University of Texas (Hook ‘Em) College of Liberal Arts and College of Education: I received my Bachelors of Arts in English and my teaching certificate through the UTeach-Liberal Arts English program. Abydos Learning International & The National Writing Project: In Spring Branch ISD, I served as one of three high school classroom teachers certified as an Abydos Writing Institute trainer. As such, I frequently presented at district and statewide professional development conferences and am certified to teach fellow educators within the three-week Abydos Summer Writing Institute, a professional opportunity offered each year to literacy teachers (K-12). Since joining Eanes, I have begun my studies within the Central Texas Writing Project, an institute similar in philosophy to Abydos, but different in structure. By May 2019, I will have completed the year-long institute, which will grant me certification as a National Writing Project Teacher Consultant.